Scrubs are the sanitary clothing items worn by medical professionals, nursing students, health practitioners, physicians, lab technicians, nurses and other staff members involved in patient care in healthcare settings. In fact, scrubs help identify fluids, bodily wastes, and other potential contaminants such as vomit, blood drops, urine, saliva, stool, and other liquids. Since these uniforms are so dirty and contaminated with harmful fluids at the end of the shift, high-pressure wash under high temperature is used to clean the sturdy garments to ensure the safety of the nurses, patients, other hospital staff, and civilians. Had there been ordinary dresses, such a type of wash could ruin the clothing. 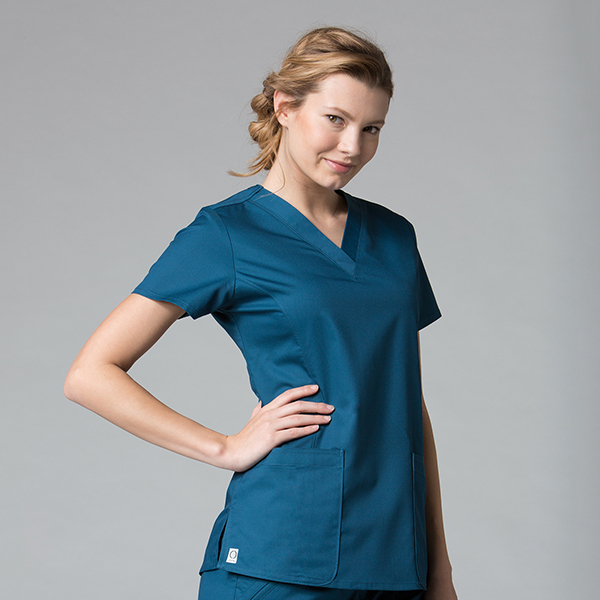 Scrubs are constructed of clothing that is thicker than average to ensure increased personal safety. Such clothing makes it hard for contaminants and germs to pass through the scrub uniforms, protecting nurses’ clothing and skin from harmful substances. For example, a lab coat, one of the most valuable garments of a lab technician, prevents the splashes of chemical drops and other hazardous liquids on the wearer’s body. Just like police officers, firefighters, and letter carriers have their official uniforms. Similarly, nurses also need clothes so that their patients and superiors can easily identify them. And here scrubs uniforms serve as a symbol of identification for nurses, healthcare professionals, and other medical staff. In some organizations, scrubs of a different color, style, and features are worn depending on an individuals’ job nature, level, and representation. Such as the doctors, technicians, and nurse assistants. You may dislike wearing scrubs daily. However, they are necessary items, ensuring safety, professionalism, and job convenience. They protect you, your co-workers, and patients from germs. Moreover, they enable you carry nursing supplies and allow you stay organized. Fortunately, there are various professionally stylish yet fashionable and Contemporary fit scrubs that meet not only your job needs and but also personal tastes. Moreover, you can wear them on and off the shift.